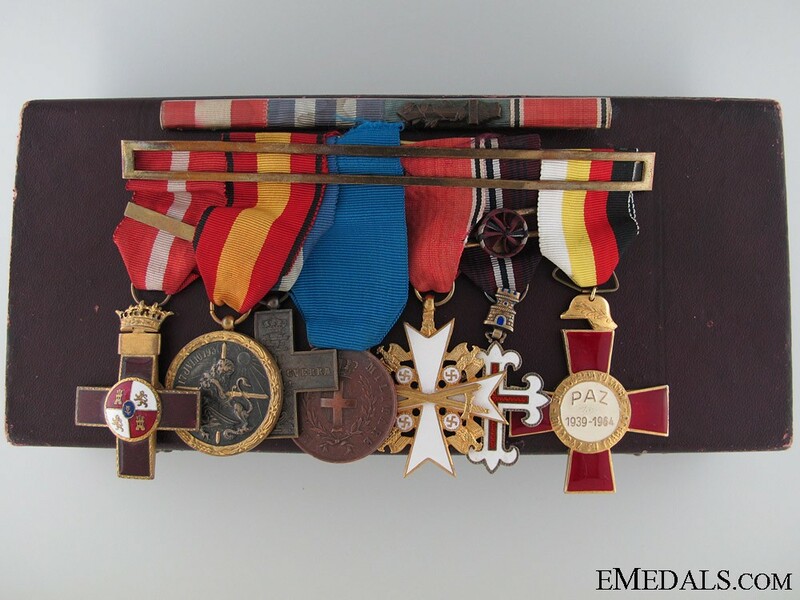 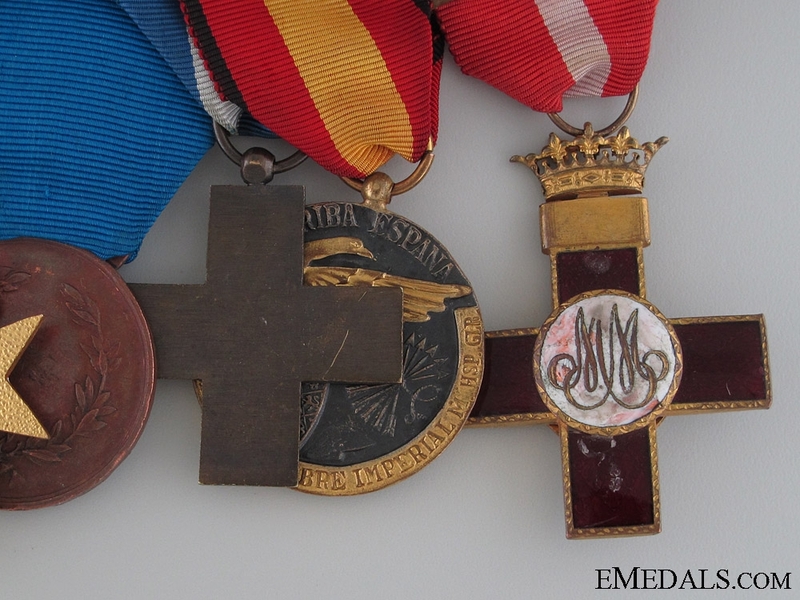 A Spanish Civil War Group of Seven - All Spanish made: Order of Military Merit with Red Distinction, 1938-1975 (two-piece construction, silver gilt and enamels, 41 mm x 52.8 mm inclusive of its crown suspension); Spain. 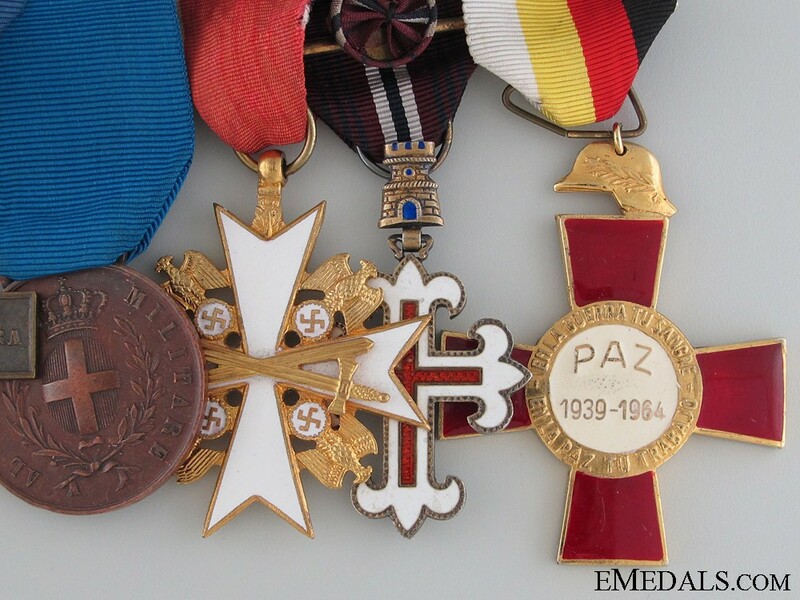 Medal for the Campaign of 1936-1939 (bronze gilt and black matte finish, 37 mm); Italy (Kingdom): War Merit Cross (bronze, 37.5 mm); Italy (Kingdom): Medal for Military Valour (bronze, 34.7 mm); Germany (Third Reich): German Eagle Order with Swords, 5th Class (two-piece construction, silver gilt and enamels, 46 mm); Portugal: Order of Military Merit, Officer (silver gilt and enamels, 33.5 mm x 55 mm inclusive if its tower suspension, rosette on the ribbon); and Spain: National Union of Veterans 25 Years of Peace Cross 1939-1964 (bronze gilt and enamels, 48 mm x 59.5 mm). 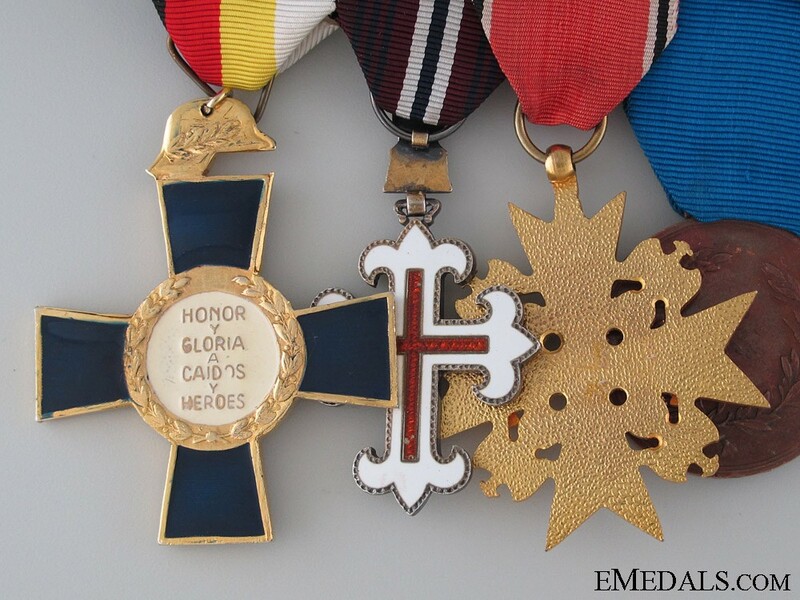 Mounted to a traditional Spanish-style suspension with swing bar pinback, as worn by the veteran, original ribbons, enamel chipping on the Spanish Order of Military Merit, light contact overall, better than very fine. 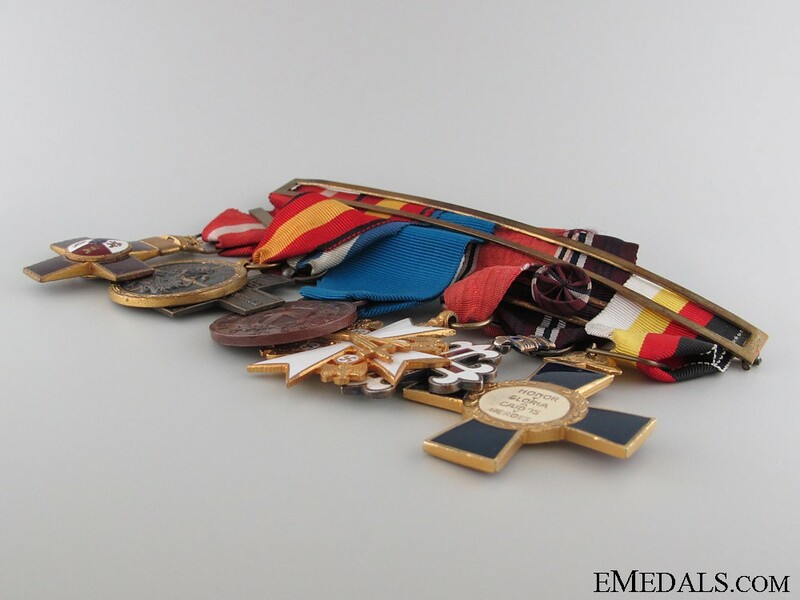 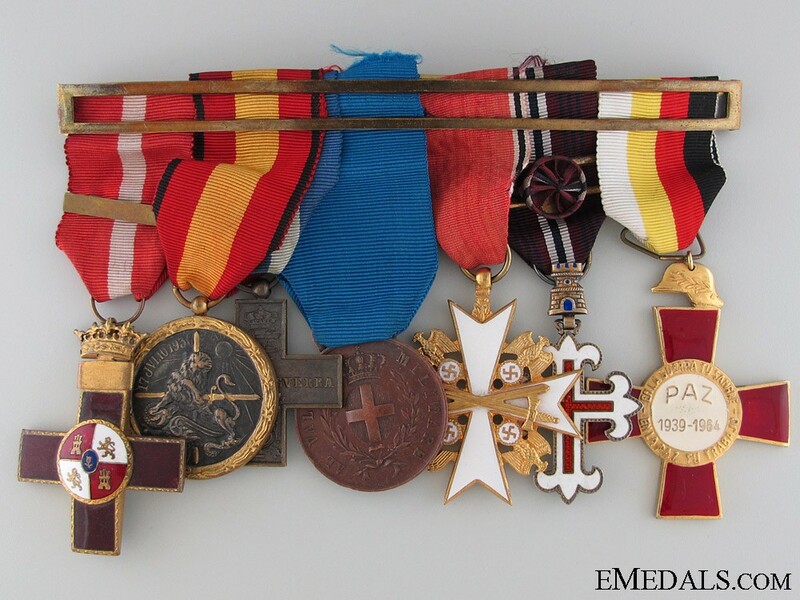 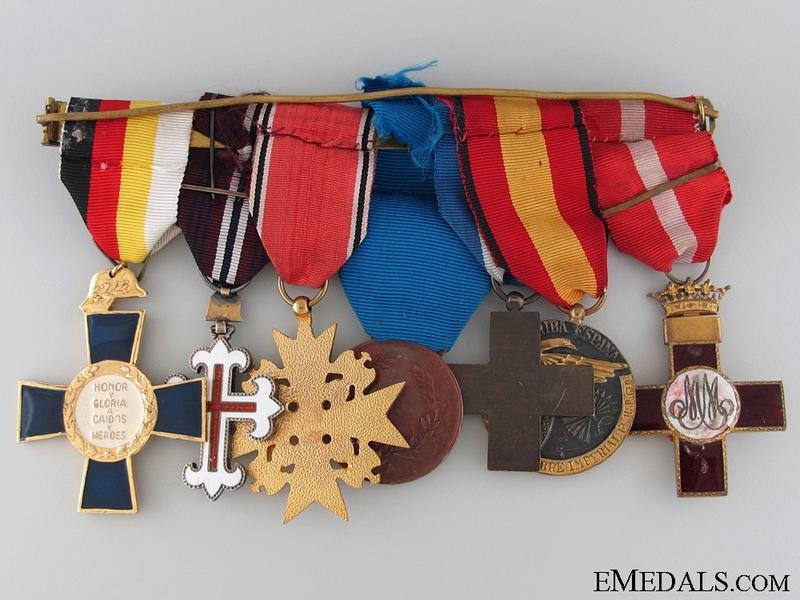 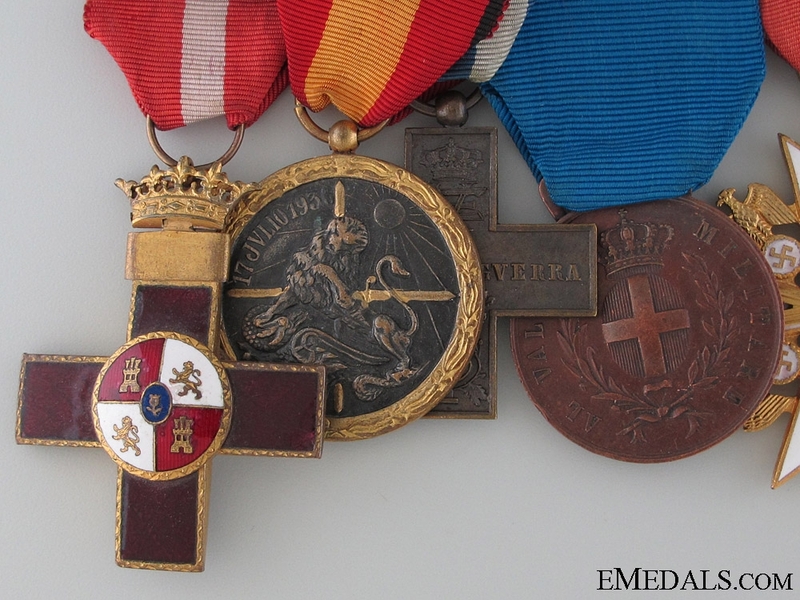 Accompanied by a Four-Ribbon Ribbon Bar (Spain: Order of Military Merit with Red Distinction, 1938-1975; Italy (Kingdom): War Merit Cross; Italy (Kingdom): Medal for Military Valour with bronze FERT sword; and Germany (Third Reich): German Eagle Order with Swords, 5th Class), in a hardshelled case, satin-lined, scuffed and moderately stained, case fine.